I was reading through the ninth volume of the Florentine Codex recently, and came across an interesting tidbit giving more information on some of the flowers offered to Huitzilopochtli. Even better, Sahagun points out these flowers were offered during Panquetzaliztli! What flowers am I talking about? Well, it’s a particular kind of flower called a chimalxochitl, or “shield flower.” It’s a very large flower that was carried both by celebrants and by bathed slaves who were to be sacrificed to Huitzilopochtli. As one might guess by the name, it represented a warrior’s shield. This is particularly fitting, as the bathed slaves who were offered to Huitzilopochtli during Panquetzaliztli were the vaguard merchants’ equivalent of captured warriors. Instead of capturing them phyiscally on the battlefield, the vaguard merchants, who fulfilled military purposes as well as commercial, captured them with their wealth, which was likened to the spoils of war. I’ve discovered that these merchants were almost a paramilitary order during the Aztec Empire, something quite fascinating which I will get around to writing about one of these days. Anyway, back to the flowers. These shield flowers were carried by worshippers, they were carried by sacrificial victims. They were strung into garlands which would decorate the temples of Huitzilopochtli, they were placed on the altar, and ornamented the idol sometimes. They were everywhere during this Teotl’s festivals. Yes, sunflowers. Helianthus annuus to be specific. 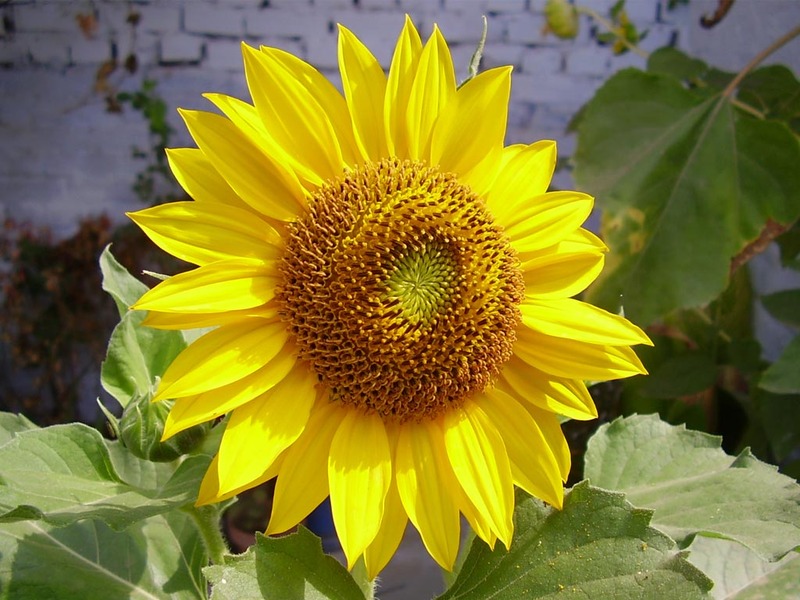 At least, the sunflower is the species that’s the top choice for the chimalxochitl among scholars. 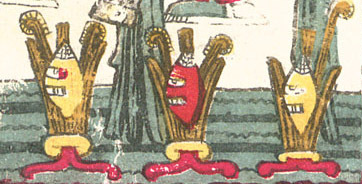 Dibble and Anderson identify the flower in footnote 7 on page 34 of their English translation of Book 9: The Merchants, of the Florentine Codex. It pays to read footnotes! You might be wondering why Huitzilopochtli’s so fond of flowers. Well, quite a few reasons. Flowers in general were symbolic of blood and warriors who died in battle. In Aztec poetry, one frequently encounters descriptions of rains of flowers on the battlefield, indicating the warriors in their bright regalia dashing about like blossoms swaying in the wind, eventually falling like cut plants and watering the earth with their blood. The dead soldiers would then live forever in Huitzilopochtli’s paradise, the House of the Sun, where they would enjoy the scent and color of beautiful flowers. Eventually they would be reborn as birds and butterflies, living leisurely lives flitting from flower to flower. “Flower and song” was a phrase meaning sung poetry, a common pastime of warriors both alive and dead. The “flowery death” was death on the sacrificial stone, and the “Flower Wars” were ritual battles to capture men for sacrifice. Finally, the first flowers of the year were reserved for Huitzilopochtli’s mother, Coatlicue, and none might pick or smell them until She had been given some. 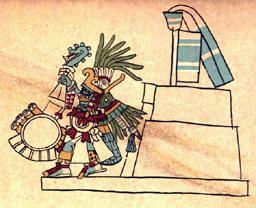 Anyway, I thought I would share my discovery and Panquetzaliztli-oriented thoughts on it, in the spirit of the season. Photo taken by Wajid Uddaim and generously put into the public domain. Thanks Wajid! Well, my numerous, intractable, and incredibly frustrating network/Internet connectivity problems resolve just in time for Panquetzaliztli! A lovely coincidence. To whet your appetite and kick things off on the right (or left?) foot, I would like to draw your attention to the material I have already accumulated on this blog that relates to Huitzilopochtli. My static page introducing the reader to the god. A quick intro, a bit about His nature, and a codex image. Mexicolore’s downloadable feature on Huitzilopochtli. Includes many artifact photos, pictures from codices, etc. Also includes other interesting tidbits on the god, such as His birthday (1 Flint Knife), his festivals, his sacred animals (the hummingbird and the eagle), and much more. They place Panquetzaliztli a bit later in the year than most calendar correlations I’ve seen, but that’s a minor quirk. 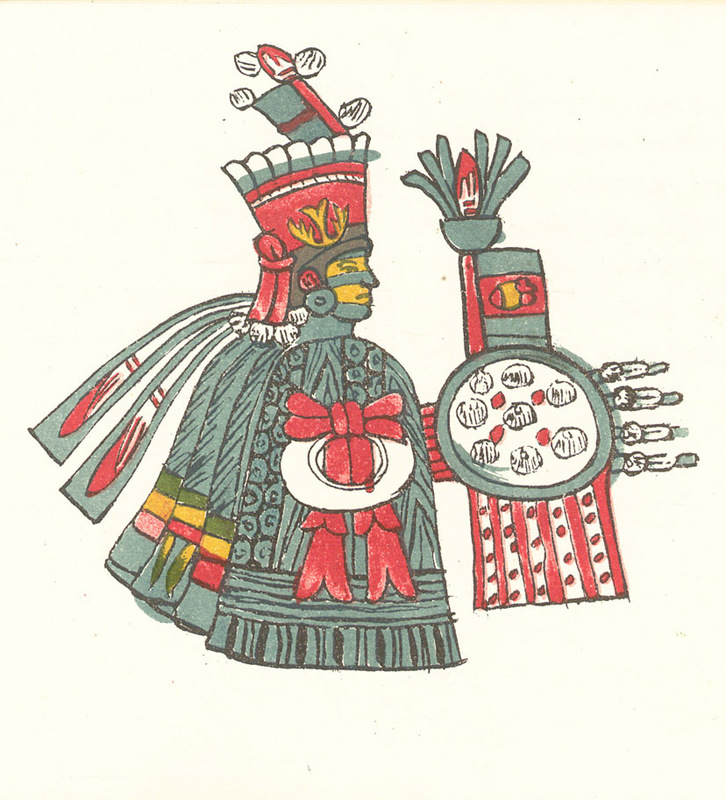 Elizabeth Hill Boone’s excellent monograph on Huitzilopochtli. The only full-length English study of this particular god available at this time. Full text available to read via Google Books. This is my retelling of the important myth about Huitzilopochtli’s birth and how He protected His mother, Coatlicue, from Coyolxauhqui and the Centzon Huitznahua at Coatepec. Grace Lobanov’s English translation from her Pre-Columbian Literatures of Mexico. The book is still under copyright and so you can’t read the whole thing, but fortunately this particular hymn in its entirety can be reached via Google’s Limited Preview. This link will take you to the “About This Book” page. Look for the “Search This Book” box, type in “Huitzilopochtli hymn,” and click on the link to page 65 that it will turn up. That’s the song for the Portentous One. Sitting here at my computer tonight, musing on an important, if not always comfortable, aspect of traditional Aztec thought and its implications. Namely, the concept of “human corn” and the natural humility flowing from that point of view. “Human Corn” — What Do You Mean? “Human Corn” — it’s an odd phrase at first glance, especially to those of us raised in a modern, Euro-American society. Boiled down to its essence, it means “people are food.” Food for what? For everything, really. In traditional Aztec thought, humans are food for the gods and food for the Earth. 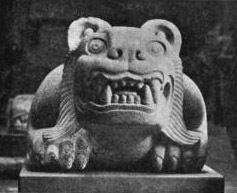 In his article “Cosmic Jaws,” Dr. David Carrasco notes a saying that survives among some indigenous tribes today in the region, “We eat the Earth, and the Earth eats us.” The Earth was said to have been created from the ever-hungry primordial monster-goddess Cipactli when Quetzalcoatl and Tezcatlipoca, transformed into great serpents, squeezed her in half and created the land and the sky from her remains. In exchange for housing and feeding us, She eats us when we die. When we eat of the land, we literally eat death and begin racking up a debt to Cipactli (later honored with the name Tlaltecuhtli, the Earth Lord) for Her bounty. Cipactli/Tlaltecuhtli isn’t the only deity depicted as eating people. Most famously, Tonatiuh the Sun received the heart sacrifice as food and drink, and Tlacaelel likened Nahua soldiers to tasty warm tortillas, hot from the griddle, destined for the table of the gods. Numerous prayers and songs, some recorded by Sahagun in Book 6 of the Florentine Codex, describe the sacrificed warrior entering the jaws of Tlaltecuhtli, and praise his blessed state as he goes to feed the cosmos. Other prayers and huehuetlatolli (moral speeches) explicitly describe humans as corn. During the festival month of Tititl, young plants and young children were stretched to encourage them to grow tall and healthy — and for the same purpose. Youthful warriors were likened to the corn god Centeotl, and the strong linkage between corn/crop and war imagery in Aztec religion has long fascinated and puzzled scholars. (See works by David Carrasco and Kay Almere Read, for example.) Over and over again, we see the idea of “being food” as a central part of the Aztec conception of what it means to be human. So, what does it mean to incorporate “being food” into the human identity? Well… it means a very different outlook on our place in the world from what a lot of us were probably raised with. It means we’re not exempt from the natural cycle of eating and being eaten that the natural world runs on, and that this is the ordinary, proper mode of things. It’s no curse or aberration that we’re subject to birth and death, it’s merely part of our nature. It also means we’re not the center of the universe — if the Earth is a garden, we’re a crop planted in it, not the gardener. There’s no analogue to the story of Eden and the Abrahamic view of the dominance of humanity over the natural world here. It also means humility. If we’re not the capstone of creation, the reason for the whole show, it means we need to get over ourselves. We’re just a part of the greater whole, sometimes likened to a household in traditional Nahua thought. No part is indispensable, from plants to animals, from humans to gods. Every being has its part to play, and that should be honored and acknowledged, but in its proper measure. Perhaps instead of whispering to ourselves, “Remember, thou art mortal!” as the Romans did, we should think, “Remember, thou art corn!” when we’re tempted to hubris. Finally, it also imparts a certain amount of meaning and purpose to miquiztli (death). When we die, we nourish life and we pay the debt we owe to the Earth for sustaining us. Depending on your understanding of the gods and how the universe works, this can be interpreted in many, many ways as best suits your metaphysical and theological perspective. Whether interpreted poetically, mystically, or literally, the idea of “human corn” still holds valuable meaning in a modern setting. As a bonus, if you would like to read a bit more about Aztec funeral practices and thoughts on death, I came across a brief article on the subject by David Iguaz that you might enjoy. Click HERE to read it in html, or HERE to download the PDF.